I became interested in Reflexology when my brother fell ill with heart problems and wondered if reflexology could help him. In 1991 I trained with Isabel Taylor, a teacher at the Reflexology Centre, London. 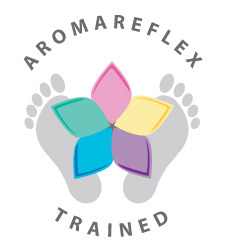 I then joined the Board of the Association of Reflexologists as Director of Seminars, a role lasting over 17 years, during which time I organised four to six seminars a year in London and Manchester involving leading reflexologist teachers and speakers from across the world. I successfully raised attendance at these seminars from around 40 in the early years to 130 members between 1992 and 1994 and maintained that level of attendance for over 10 years. In 2009 I was awarded Honorary Membership of the Association of Reflexologists for my service to reflexology. In 1992 I studied Facial Reflexology with Lone Sorensen, at the Instituto de Reflexologia, in Spain, followed by further study of the Cosmofacial and Japanese Cosmo Face Lift methods. For over five years, I have been a UK trainer for the Japanese Cosmo Face Lift Sorensen system. I have also studied Tsuboki Japanese Facial Massage – I & II with Anne Parry while additional training has included Indian Head Massage whilst attending numerous certificated reflexology workshops. I am committed to the healing, health and well being of myself and others through reflexology, and was able to detect heart imbalances in a family member, which resulted in them receiving a pacemaker to correct the abnormality. I chose the name “House of Arubah” as my business name because the Hebrew word ARUBAH means Restoration to Sound Health. I enjoy taking the lead when organising and running reflexology seminars and events and want to be able to make a real difference, using a holistic, ‘Big picture’ approach. My long term goal is to establish a sanctuary where people can come to be restored to sound health. I am currently based in North London/Hertfordshire.